Getting back in the swing of life has been difficult lately. Traveling right before the holidays can be tough, but I’m not complaining. First world problems, I know. 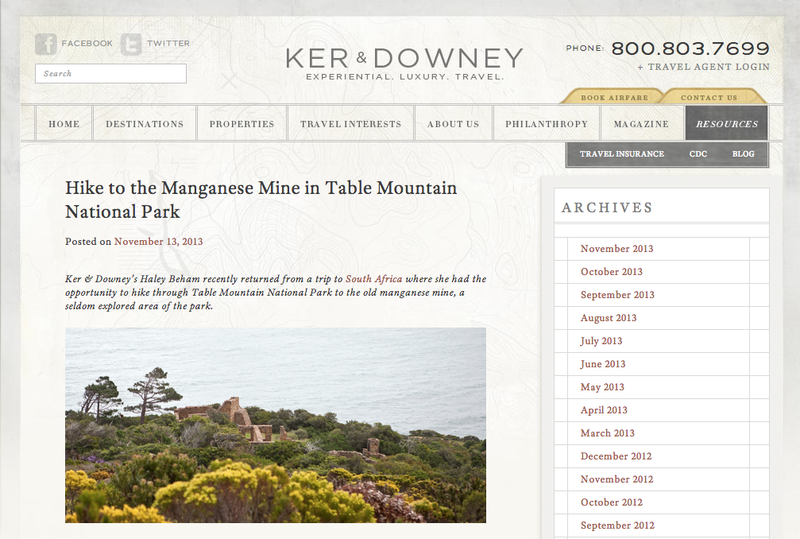 I’m talking about my hike to the old manganese mine in Table Mountain National Park on Ker & Downey’s blog today. Head on over to check it out and I’ll work on getting some regular content back on the ol’ blog!